The latest charitable donation by Imperial Coffee and Services Inc. shows how the company is making a difference in Its community by being the industry leader in corporate social responsibility. We are deeply committed to our community. Imperial Coffee and Services Inc., the industry leader in office coffee service for Toronto and Ontario, today announced it is expanding its charitable, environmental and community service commitments with a $5,000 contribution to Humber River Regional Hospital. "As a family business that grew, we are deeply committed to our community in various ways," said Imperial Coffee and Services Inc. President Mark Steiner. "It's been that way for more than 35 years. The Humber River Regional Hospital donation is just the latest example." Among the many charities Imperial Coffee and Services Inc. supports financially with cash contributions are Princess Margaret Hospital, Baycrest Center, and the Toronto Hospital Fund. "We're also proud to be contributing to the United Way for the seventh consecutive year," said Steiner. Last summer, the I mperial Coffee and Services Inc. logo appeared on posters United Way has placed on Toronto Transit Commission vehicles to thank corporate supporters. Imperial Coffee and Services Inc. contributes free coffee the Breast Centre at Mount Sinai Hosptial. And it has also contributed coffee to Casey House, Canada’s longest-serving HIV/AIDS hospital, since its inception. On the environmental front, Imperial Coffee and Services Inc. has long been committed to a "go green" mandate. Imperial Coffee and Services provides customers with aggressive options in the areas of responsibility, sustainability and minimization of waste. Among many initiatives are: bio-degradable packaging, re-cycling brewers and filter packs, and using Greenware cold drink cups. The Imperial Coffee and Services warehouse uses energy-efficient radiant heating. The company has also purchased carbon credits to partially offset emissions from its participation at a conference. 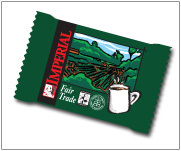 Imperial Coffee and Services Inc. offers Fair Trade and sustainable coffee from such leading suppliers as Starbucks, Timothy's and Mars Drinks.Imperial Coffee and Services Inc. also offers its own private label Fair Trade and sustainable coffee. Imperial Coffee and Services Inc. is a family-owned coffee, vending and water supply company that serves workplaces with more than 15 employees. 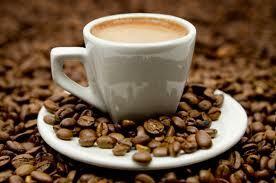 Founded in 1974, it has long been the market leader for office coffee services in Toronto and Ontario. 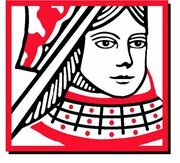 Imperial Coffee and Services Inc. takes great pride in offering outstanding products and customer service and is equally proud that 52 of its 124 employees have been with the company for more than 10 years.